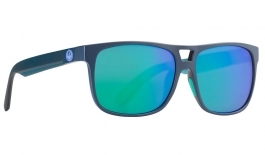 For over twenty years Dragon have been providing quality eye wear to surfers and sunseekers. We offer all of Dragon's sunglasses with directly glazed lenses, made to your own prescription in sports-grade polycarbonate for excellent impact protection and clarity at a remarkably light weight. All of Dragon's sunglasses are now available in directly glazed prescription form. This means you can customise your frame with the perfect lenses to suit. We offer Standard, Polarised, Photochromic and Polarised Photochromic lenses. Constructed from a durable, lightweight nylon material, all of this range comes standardized with Dragon's custom water-resistant rubber logos on the outer temple, rubber nose pads and temple tips all help to provide a performance fit. All models come with the option of having prescriptions lenses. We offer Standard, Polarised, Photochromic and Polarised Photochromic lenses to enable you to custom build your perfect pair of Dragon sunglasses.